Oh to be young and free. 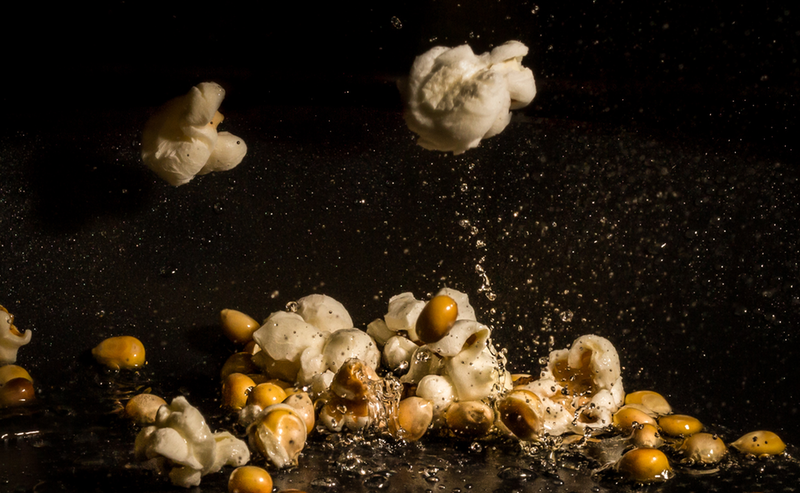 Munchies, a website, reminisces about the Great Anti-Popcorn Hysteria of 1994. That was when the Centre for Science in the Public Interest announced that movie popcorn was very high in saturated fats, a revelation that was met with screaming headlines and a large — but very temporary — drop in cinema popcorn sales. But while Munchies has the giggles poking fun at the whole episode, boring old me remembered another story, the one about popcorn lung and – like popcorn itself – once I started in on it, I just couldn’t stop. You can share my discoveries by reading the newsletter online. In other news, the FDA is not allowed to define “the food commonly known as eggs”. Modern Farmer tells me so. Who knows what lurks behind that. Does that mean that an eggless emulsion of fats and liquids could in fact declare that it contained eggs if it weren’t trying to appeal to vegans? In truth, the best time to caramelize onions is yesterday. … [T]hrow the onions in a crock pot and go to bed. In recipe time, that’s hours and hours. In your time, the time that matters, it’s less than five minutes. That’s exactly how I feel about making my own bread. It takes a long time, but it is’t my time. Popcorn -- how dangerous is it it, really? Not very, unless you work with it. Eggs -- what are they? Sorry Dave, I can't tell you that. Caramelised onions -- how long do they take? Longer than you've got, and they never really caramelise.